Generally speaking, electrics don’t mix with cleaning and things like water and cleaning-substances that go with it. However, while we are at a property and on site we can often help out with lots of niggly electrical problems that people have. Not of course the technical part, but being a helpful pair of hands to help out and apply a little bit of common sense. This can be for individuals with their homes, or business points of contact, or managing agents involved with communal areas for apartment blocks or say offices. 1. Fire systems. For larger properties with say a communal area there is often a fire alarm that needs testing every week and activating certain set call points. No problem; once we know how to do it, we can arrange for these to be tested and save huge call-out costs from specialist fire-alarm maintenance companies. They can oversee this and then check our records easily, and even with more standard battery smoke detectors in residential areas, we can help test these and tick any box you want us to. 2. Smoke systems. Not something immediately thought of , but in a lot of residential apartment blocks there are these as a means of opening windows if there was a fire to release smoke as soon as possible. Occasionally they get accidently opened from false alarms, even one case of someone using excessive hairspray in the communal areas. No problem, if we are there anyway or nearby then call us and tell us what to process to re-set these again. 3. 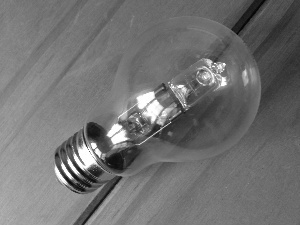 Bulb changes. Now okay, things can get more technical here with actually replacing bulbs, but we can help communicate any that are not working in case you need to get a handyman to take over. 4. Emergency lights. Again, not something everyone things of, but these are there to kick-in on battery power if there was a power cut, and need a flick-test every month to make sure they operate okay. As with testing the fire alarm panel, just show us what to do and test, and then box to tick, and we can easily help you out. 5. Security alarms. These have a habit of going off just when you don’t need them to, or needing to be reset last minute. We can easily help do this, and check any panels for more information. 6. Intercoms. These vary from a voice-based system on the main entrance to say an apartment block, or barrier systems with fobs and digi-pads. When they need repairing, the biggest difficulties we have seen is needing an extra paid of hands at one end of the line whist someone else is at the other. So just rope us in and we’ll help. 7. Sockets. They are hopefully everywhere to power things, and as well as helping to turn things on and off as needed, including on any timer, we can immediately let you know if there is a problem with these. This can cause particular problems where we can’t use say a vacuum cleaner ourselves but we’ll always let you know about any problems like this.